SunnyDays Therapy was founded in 2006 by Kelly Peters, Occupational Therapist. 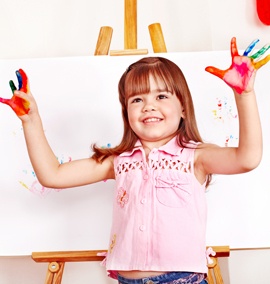 We offer Occupational Therapy and Speech Therapy sessions to children and young adults. SunnyDays Therapy was founded on the belief that each and every individual should have the opportunity to improve their independence and confidence in a caring and supportive environment. Our Occupational Therapists and Speech Therapists specialize in treating children and young adults with a variety of abilities. Our team is dedicated to providing excellent care to each client that we treat. We strive to help individuals reach their maximum potential by using a variety of techniques and approaches that makes learning fun! Our treatment sessions, incorporate a variety of treatment approaches into each session to best address each individuals needs. Our therapists are encouraged to think “outside of the box” and to focus their continuing education in a wide variety of areas to best address our clients’ needs. Some of our approaches include play, sensory integration, Neuro-Sensory-Motor Reflex Integration (MNRI), Rhythmic Movement Training, massage therapy, therapeutic listening, Handwriting Without Tears, Astronaut Training, SOS Approach to Feeding, verbal behavior therapy and advanced training related to autism spectrum disorders. Our free screenings give our clients the opportunity to meet with our staff to determine if we will be the right fit for you. It gives our clients and their families the opportunity to get to know us and become familiar with the new space prior to us trying to complete any standardized testing our evaluations. It is basically a chance for us to hang out, get to know each other, show you how much fun we are and answer any questions that you may have! Our main hours are 8-6, but we are flexible based on your needs. We understand that you have a million things going on in your life from school, to work to extracurriculars to everything in between. We want to make sure that we are available when you are. So…..we will try to adjust our schedules the best that we can to find a schedule that works for you! It is very important to everyone at SunnyDays Therapy that we get a screening set up for you within 24 hours. Our therapists often have time scheduled into their days to allow for free screenings and initial evaluations. Please know that if this is not available we will do our best to get a date on the calendar for that same week as we are very excited to meet new people! The kids love SunnyDays Therapy. You focus on very practical and useful skills. We've recommended you to others within the autism community, as you understand our kids. We've seen more progress with you in less than a year than in the past three years of private and school occupational therapy! What I like best about my experiences at SunnyDays Therapy is the quality of service and the remarkable improvements seen in my children. [Kelly and Katie] are remarkable therapists with huge hearts! SunnyDays therapy has done a wonderful job working with Philip. They have made great progress and are extremely informative on a weekly report that shows how he is doing throughout the therapy session. I highly recommend them as a crucial piece in the treatment of autism!